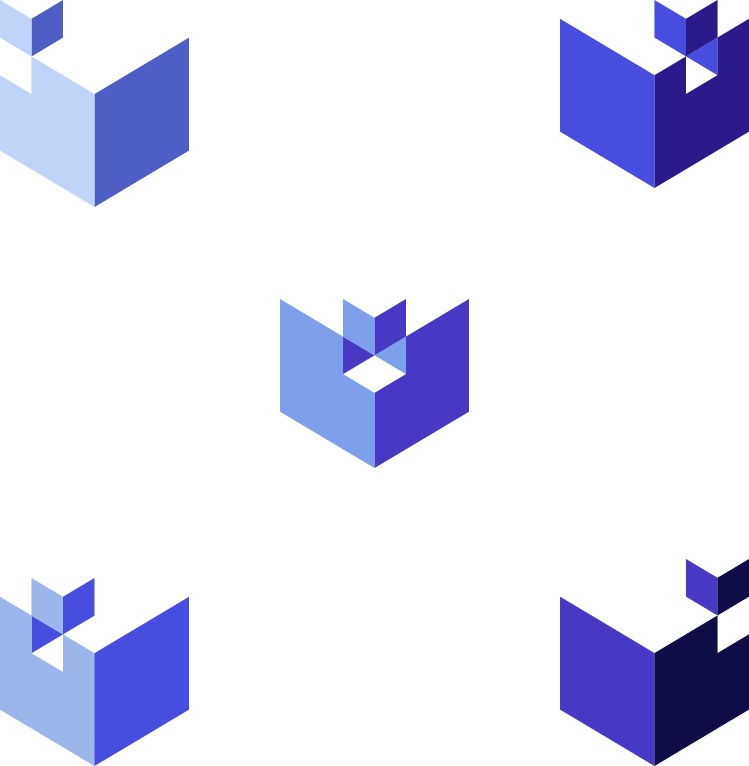 Blocko is a company researching and developing Blockchain services to spread technology to various industries. They fulfill enterprise with innovation. 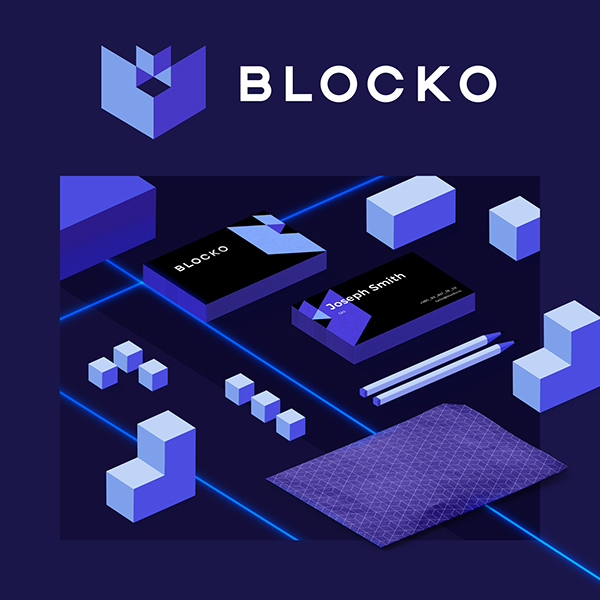 Artkai design agency was challenged to create a logo and visual identity for Blocko. Our client wanted to look like a modern digital company that collaborates with B2B sector and works on the frontier of disruptive technology. "We want our clients and partners to feel that we are the most trusted brand and partner for blockchain. We want them to feel that we’ve provided them with an innovative solution that will help them remain competitive in the market and also allow them to create better solutions for their customers." As our clients fulfill businesses with innovation, we came to an idea to literally demonstrate the process of complement. We united puzzle and block. We took the idea straightforward but flavored with devilled spices. The cube is not entirely visible, giving freedom for the symbol to stand out. Blocks can stand out of the cube variously. It also incorporates how agile the company is. 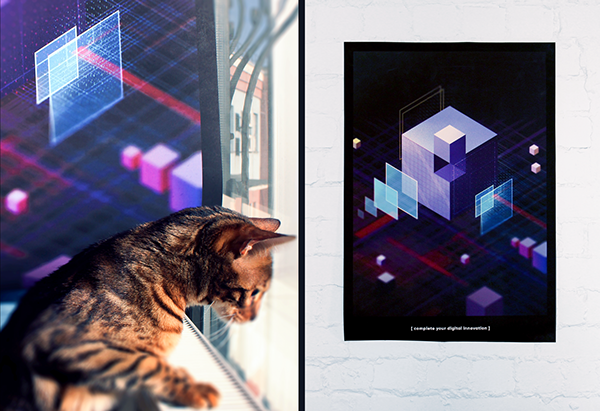 We’ve created the artwork and collateral imagery based on the idea of complement and hi-end technology. The cherry on the top of the block is to see how your client’s new style tells the story of the brand in the real world. 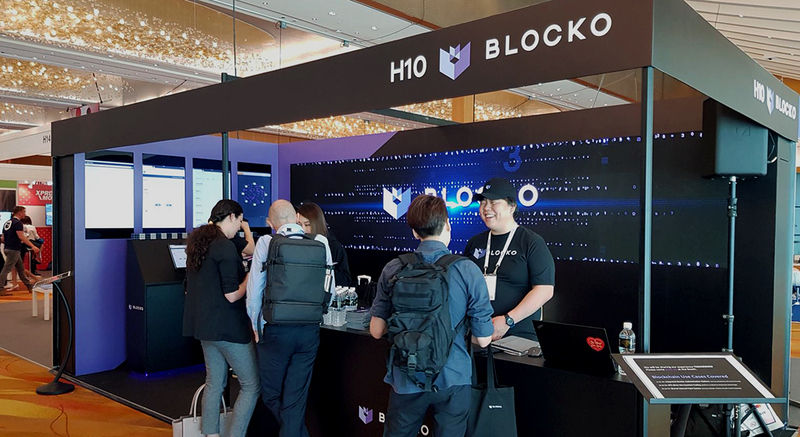 Blocko presented its unique brand to the global network of fintech companies of the future at Money 20/20 Asia. Blocko is a company researching and developing Blockchain services to spread technology to various industries. They fulfill enterprise with innovation. 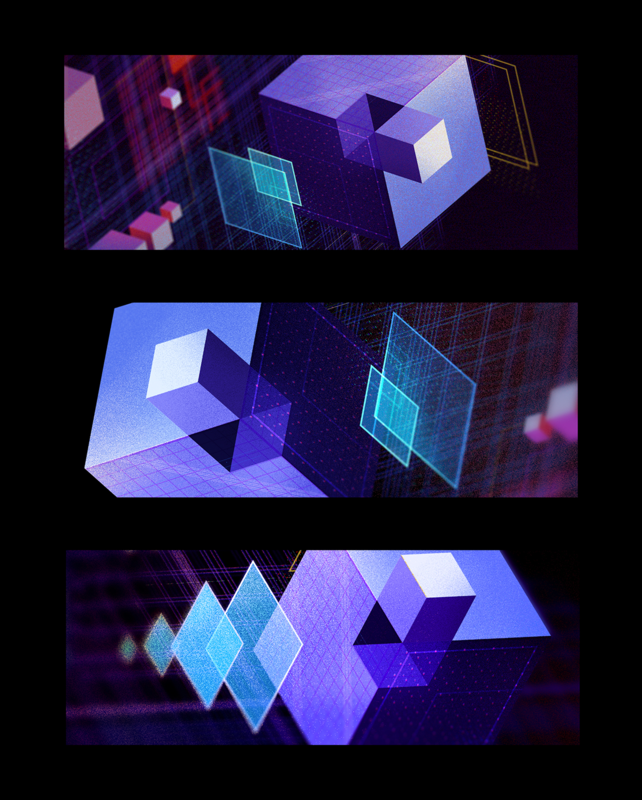 Artkai design agency was challenged to create a logo and visual identity for Blocko. Our client wanted to look like a modern digital company that collaborates with B2B sector and works on the frontier of disruptive technology.